The Daniel C. Baker, Jr. Trust Fund was established in 1975 by contribution ($30,000) from the family and friends of Dr. Daniel Baker, Jr. Dr. Baker died in 1974 during his term as President of the Association.  To establish a special Lectureship to be given during the Annual Meeting of the Association. The income of the Fund shall be used to support the Daniel C. Baker, Jr. Lectureship. The principal shall be maintained intact. Unexpended income in any year shall be added to the principal. The principal may be added to by additional gifts. There shall be the Daniel C. Baker, Jr. Committee consisting of three (3) Fellows appointed annually by the President. Each member of the Committee shall serve for three years. The Fellow senior in service on the Committee will serve as its Chairman. The Committee will submit a report to the Council proposing a speaker for the Baker Lectureship. The report of this Committee will be presented to the Council at its Winter Meeting for approval.